Palladium is one of the most overlooked precious metal products in the world. There are few mints currently striking coins or producing bars using this particular metal, but those that do find a strong market of interest among investors and collectors alike as palladium proves valuable, yet affordable. 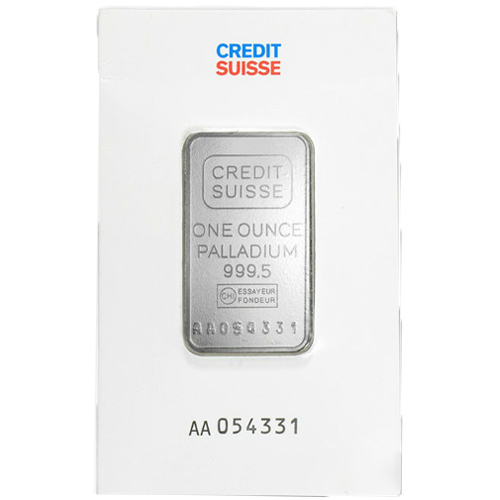 Today, the 1 oz Credit Suisse Palladium Bar is available to you online from JM Bullion. 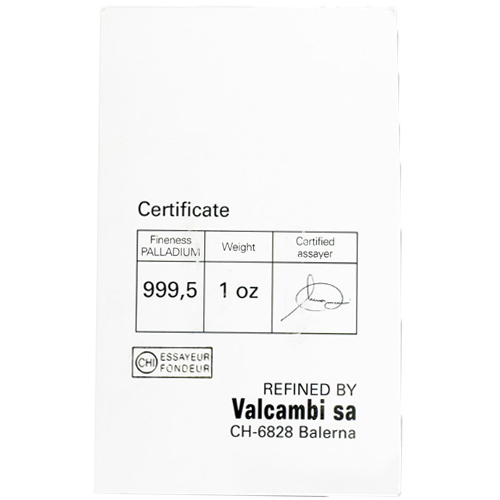 Contains 1 Troy oz of .9995 pure palladium. Obverse includes the identifying engravings of the bar. 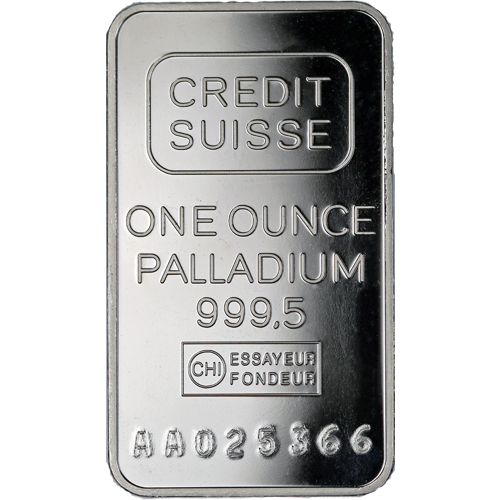 With your purchase of a 1 oz Credit Suisse Palladium Bar today, you receive an investment-grade palladium bullion product that includes exactly 1 Troy oz of .9995 pure palladium. These bars make an excellent choice for diversification in any investment portfolio. 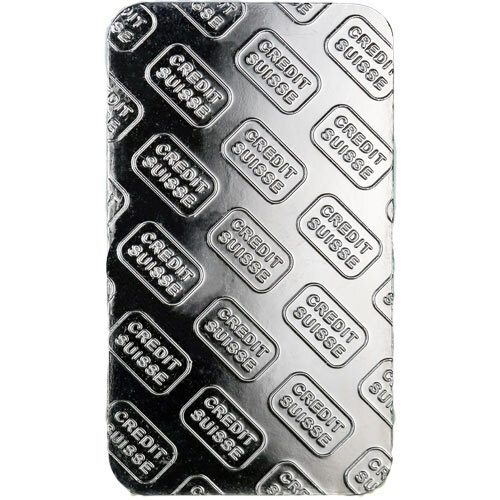 The obverse face of all 1 oz Credit Suisse Palladium Bars features the primary engravings used on these particular bullion bars. Youll find the name and logo of the refinery, Credit Suisse, at the top of the bar. Other markings listed vertically going down the bar include the weight, metal content, and purity of the bar. Below those markings you will also find the assayers mark on the bar, along with an individual serial number for each product. Palladium bullion bars from Credit Suisse have serial numbers listed in a two-letter, six-number format. All Credit Suisse palladium bars in this listing are minted ingots. These bars are refined using computer-controlled production processes that result in extreme precision in the edges, cut, weight, and purity of each individual bar. Today, Credit Suisse is one of the most recognizable brands in the global precious metals marketplace. The company has grown to develop a global reach that includes active operations in 50 countries, a total of 48,200 employees, and a presence in more than 150 different countries around the globe. Please dont hesitate to reach out to JM Bullion if you have any questions regarding these palladium bars. Our customer service team is available at 800-276-6508, online using our live web chat, and via our email address. You can also visit our website to track precious metal prices in real time, including the spot price of gold and silver!